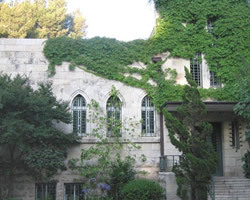 Old Katamon is dubbed "The flower Garden of Jerusalem." Dating back to the British Mandate, Old Katamon is situated between Talbieh neighborhood to the north and the German and Greek Colonies to the East. The two central streets in the neighborhood, Rachel Imenu (running in the east-west direction) and Kovshe Katamon (running in the north-south direction) connect with stylish and quaint Emek Refaim Street. In the early 1970s, a general process of renewal began in this area, and many of the inhabitants realized their dreams of having stone courtyards, fences, quality porches, tiled roofs and where major renovations were carried out, architectural styles not previously seen in the area. 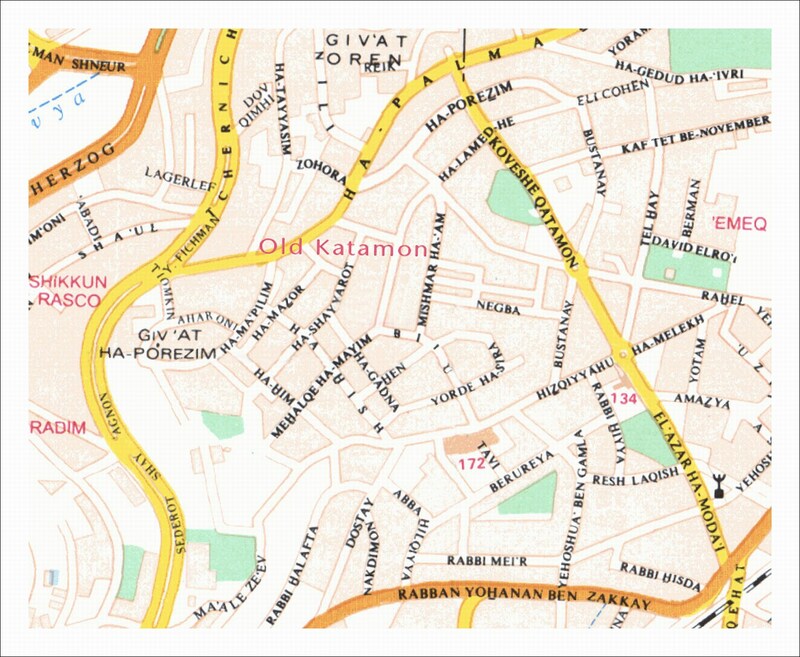 The neighborhood of Katamon has a romantic, sentimental style, with small, artistic houses with yards and all located within close proximity to the center of town. In addition, there are many schools, pre-schools, and synagogues in the neighborhood.